» ALL the Things, no. 3: Stitch My Kid’s Art Commission Service! ALL the Things, no. 2: Embroidery Kits! This week I’m summarising the heap of offers and announcements I’ve made in the last little while. Some of them, you might have noticed the first time around – in which case, please pass along with my gratitude for your patience. Others, you might have missed – in which case, I hope you see something you love. Thing the Second: Embroidery Kits! I derive a nerdy joy from the semantic intersections between “textile” and “text”. 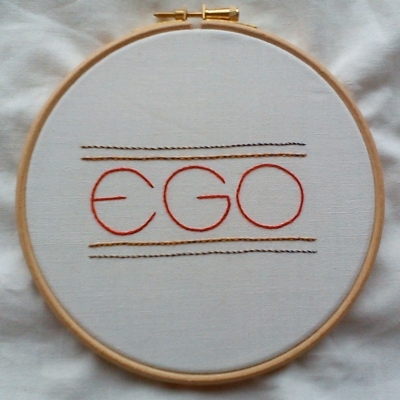 Or to put it another way, I love stitching words. If you do too – or if you know someone who does – check out my new embroidery kits: each of the four designs pictured above is still available. Furthermore, I’ve just added a bundle option: all four for the price of three. One reminder, though: You must order by Friday 2 December, which is three days away. So, in conclusion go here to get your kits – by Friday! 2 comments to ALL the Things, no. 2: Embroidery Kits! It’s beautiful and clever and gorgeous AND funny! Crafts and wit and gorgeous aesthetics all together in one page. I’m not watching tv anymore, I’m going to come here for entertainment!